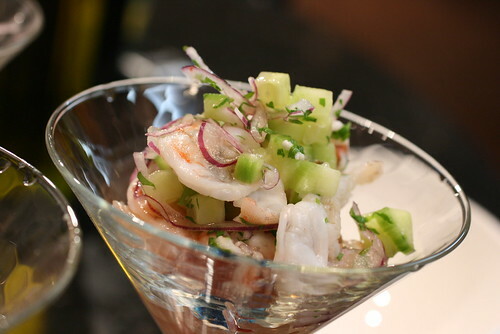 Whenever I hear about ceviches, people are always talking about the ceviches of their homeland, Argentina, Peru, Chile. Everyone will proudly back-up theirs as the best. With the ingredients I had, like lime, cilantro, red onion, etc, I naturally thought of ceviche, but I also had some pomelo, and I just desperately wanted to include it. Since Pomelo is native to South East Asia, this is kind of a fusion dish.